Brink’s Company (NYSE:BCO)‘s largest stockholder, Starboard Value LP, which is managed by Jeffrey Smith, further hiked its stake in the $1.39 billion provider of secure logistics and security solutions by acquiring 207,170 shares according to an amended 13D filing with the SEC. The total holding now amounts to 4.58 million shares amassing about 9.4% of the company’s outstanding stock. Starboard Value and Opportunity Fund also hold cash-settled total return swap agreements on Brink’s Company that give it an exposure equivalent to some 1.19 million notional shares. The agreements expire between August and November of next year. Activist investor Jeffrey Smith has made quite a few headlines recently. His vociferous opposition to Media General Inc (NYSE:MEG)’s acquisition attempt for Meredith Corporation (NYSE:MDP) is just one example which led to Smith threatening the use of Starboard’s 4.5% stake in Media General to launch a proxy battle if the firm doesn’t abandon its plans. Considering Smith’s track record, which includes the replacement of the entire board of Darden Restaurants, Inc. (NYSE:DRI) last year, the threat is far from being empty. Moreover, the recent news of Starboard acquiring a 3.7% stake in Advance Auto Parts, Inc. (NYSE:AAP) set the company’s stock soaring by 11%. Currently the market value of the fund’s public equity portfolio stands at $4.43 billion, with 40% of the investments in the consumer discretionary sector. 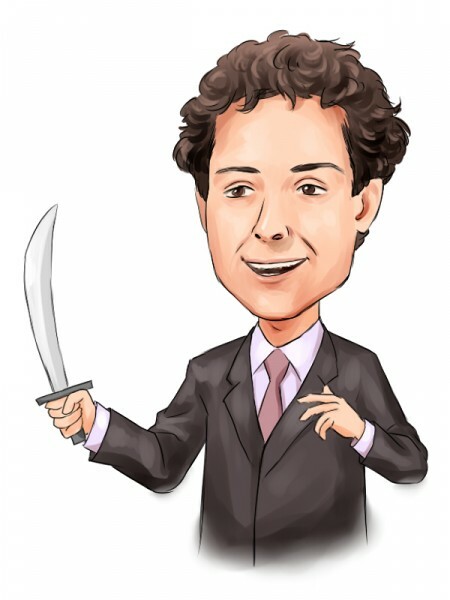 Following activist funds like Starboard is important because it is a very specific and focused strategy in which the investor doesn’t have to wait for catalysts to realize gains in the holding. A fund like Starboard can simply create its own catalysts by pushing for them through negotiations with the company’s management and directors. In recent years, the average returns of activists’ hedge funds has been much higher than the returns of an average hedge fund. Furthermore, we believe do-it-yourself investors have an advantage over activist hedge fund investors because they don’t have to pay 2% of their assets and 20% of their gains every year to compensate hedge fund managers. We have found through extensive research that the top small-cap picks of hedge funds are also capable of generating high returns and built a system around this premise. In the 36 months since our small-cap strategy was launched it has returned 118% and beaten the S&P 500 ETF (SPY) by more than 60 percentage points (read the details here). Starboard initiated a position in Brink’s Company (NYSE:BCO) during the first quarter of this year and has been building up the stake since then. The company’s stock price has surged by more than 16% so far this year. In contrast, the security & protection services industry is down by about 1% during the same period. The main geographical regions that have been driving the company’s profitability are Argentina, Mexico, and France, while earnings in the U.S have also improved since last year, though not as much as in the other three countries, owing to significant costs being incurred in connection with its business expansion. In order to compete in the U.S, the company’s pricing hasn’t allowed for a significant margin improvement. Brazil on the other hand has acted as a counterweight to this progress, owing to the country’s macroeconomic weakness. Brink’s Company expects these headwinds to continue during the second half of the year.